Good Friday and Easter are fast approaching. A time where I find myself reflecting on where my faith lies and where my spiritual awareness has brought me to. 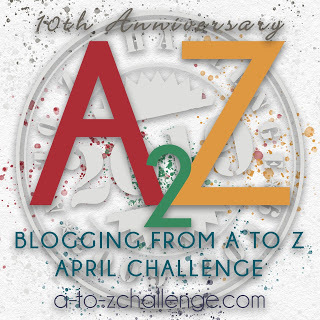 ~ The A to Z Blog Challenge 2017 ~ is in full swing. When I stop by to visit some of the A to Z bloggers it brings to mind how much I received through participating last year 2016. I’ve decided to reblog one of the posts today ~ Lessons Learned Letter F ~. “The Window”, in my opinion, was written by Cohen as a reflection of his spiritual quest. It’s an appeal to all people to live rather than stand at the window, watching the endless parade of possibility. It’s an appeal to go out into an unknown and terrifying future rather than starving slowly. I love this song, it has such great meaning but have never seen a video with the singing. Such beautiful photos to go with the song.. Shared on Twitter. Happy Easter Mary Lou! So glad I stopped by today! I adore Leonard Cohen. ❤ It's good to be optimistic, but one should also be realistic. Not everything in life turns out well. The poem offers excellent advice. Thanks, Debbie! I had never heard the song before until I visited The Happy Quitter. I love this poem and the way it shows that we can learn something valuable from good times and bad. Thanks so much for sharing!